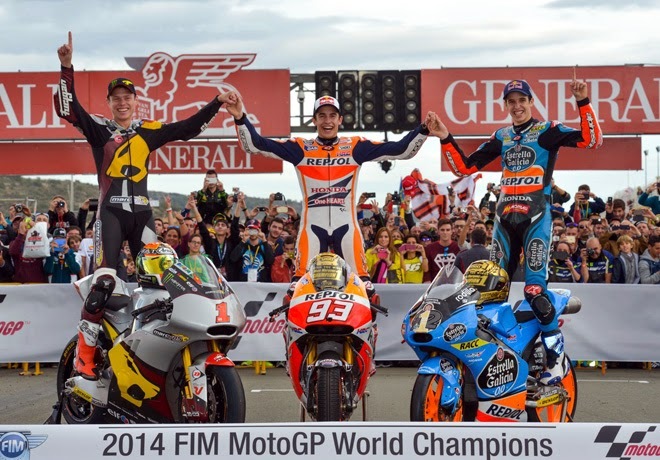 Marc Marquez in MotoGP, Tito Rabat in Moto2 and Alex Marquez in Moto3, they have won the three classes of 2014 World Motorbike Championship. The three motorbike riders were all born in Catalonia (Spain), the Marquez brothers in Cervera and Rabat in Barcelona. In addition, it's the first time that a pair of brothers wins two classes of World Motorbike Championship at same year. 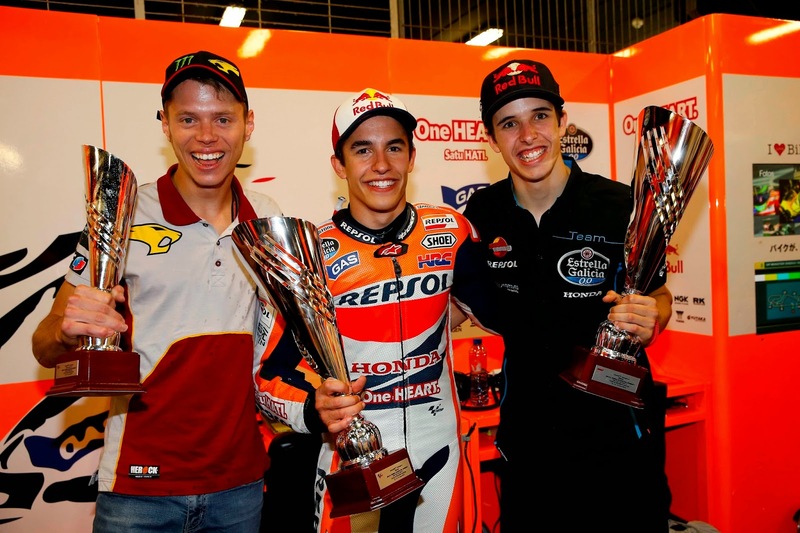 Last year, three catalans also won the three classes of 2013 World Motorbike Championship: Marc Marquez in MotoGP, Pol Espargaro in Moto2 and Maverick Viñales in Moto3.